Lace dresses have always been my favorite especially at the time of summers. 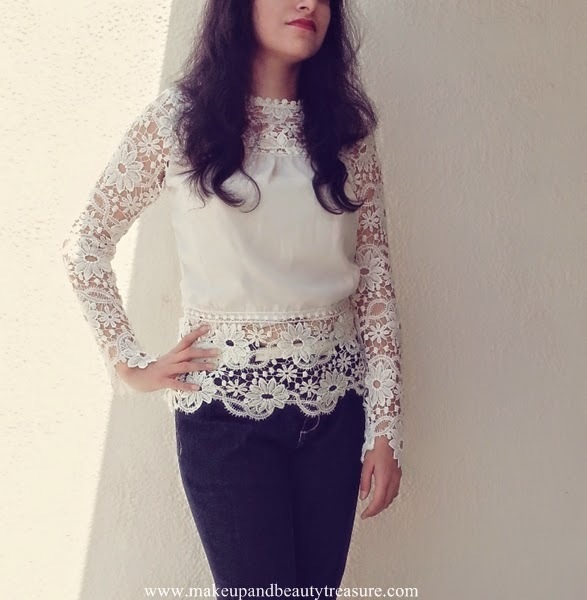 Recently I came across a very beautiful and delicate floral white lace top on Rosegal which is quite unique in itself. They really do have gorgeous collection of lace tops. 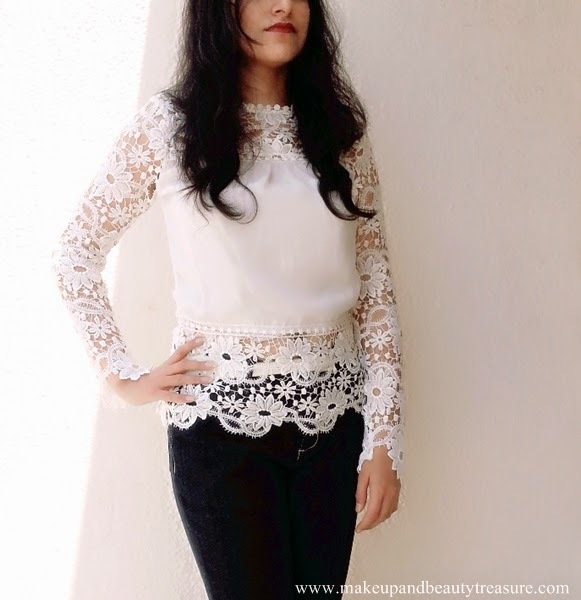 Today I am going to feature Rosegal White Lace Top. Rosegal White Lace Top comes safely packed in a plastic case. The packaging was really good and it arrived safely at my place in 10 working days. I got an email with my order and tracking number. The top comes in three colors: white, sapphire blue and black. I chose white color with floral design all over it. 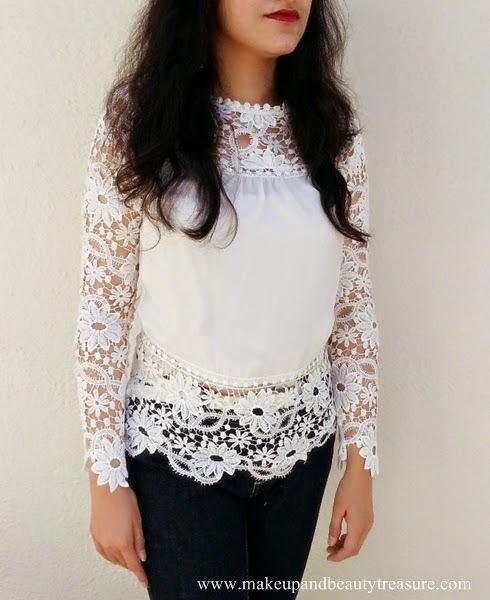 The high scooped round neck and the long sleeves have sheer floral design lace that makes it look gorgeous and pretty. The top itself is made from polyester that feels really nice and gentle against the skin. The back of the top is same as front. It comes in many sizes and I chose M size for me. Though I wear size S but I already read in the comments that one must order a size bigger than they usually wear as their clothes are in Asian sizes. I measured my size with the measuring tape to get the right size and ordered on their website. I was pretty happy when I got the top but was disappointed that size M was quite small for me. It fitted me well around the bust but it was quite tight from upper arms. I should have ordered size L as this top is slightly figure hugging. The flowery lace pattern adds a feminine and elegant look to the top. Make sure you wear it before wearing your accessories as the lace tangles with my earrings. The dress looks flattering on dark jeans and would look fabulous on everyone. I totally loved the end of the dress as it looks really girlie and delicate. It can be worn over any jeans or shorts. It is machine wash and the lace does not seem to go out of shape. Every girl must have a white dress in her wardrobe and this is surely a gorgeous addition! I totally loved the floral design. Wind always blow when I do photoshoot. 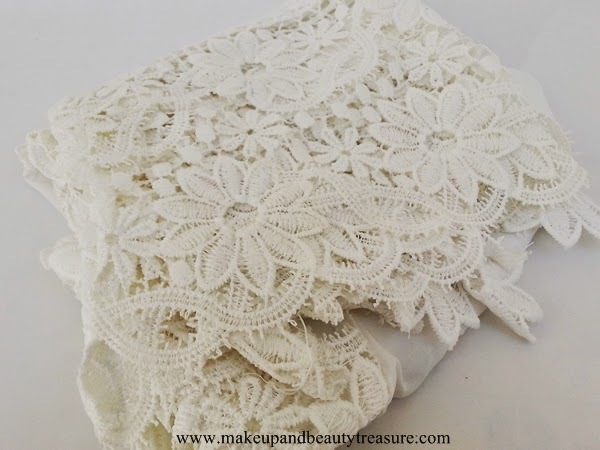 • Gorgeous floral lace pattern. • Perfect for summers or vacations. • Looks elegant and delicate. • Lace sleeves add classy effect. • Wide range of lace dresses and tops to choose from. • I was a bit disappointed by the size. You need to order a size or two bigger than you usually wear! 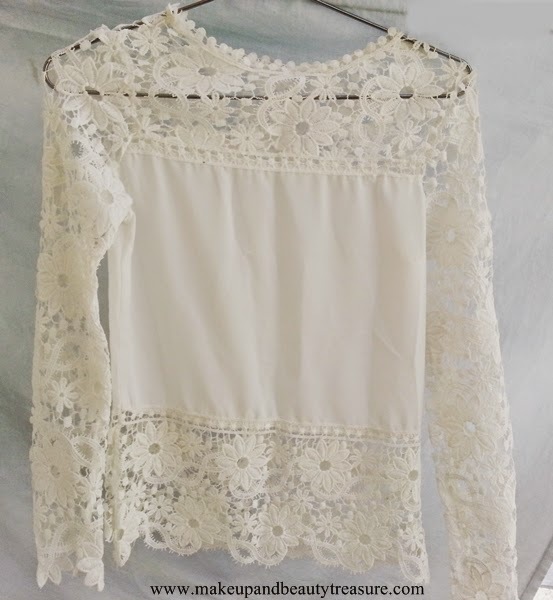 I am totally in love with Rosegal White Lace Top. It looks very pretty and unique in itself. The color is very bright and definitely looks gorgeous when worn with any jeans or shorts. My only grumble is the size. I wish I had ordered size L so I could wear it in summers. Rosegal has really gorgeous collection and I would highly recommend everyone to check their website. 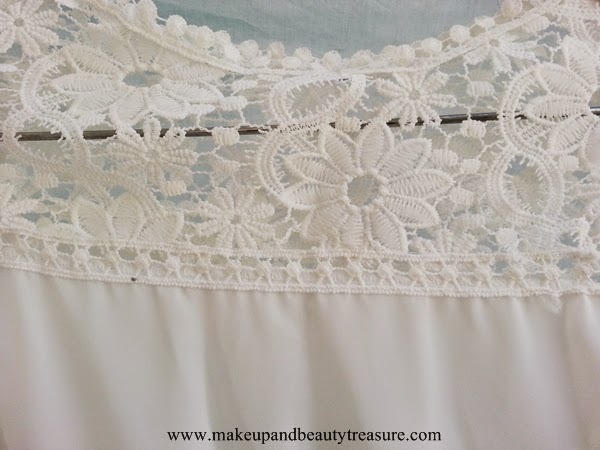 Not to mention this white lace top is the prettiest lace top I have ever seen! Have you shopped from Rosegal? Do you like lace tops or dresses? Share in the comments section below!